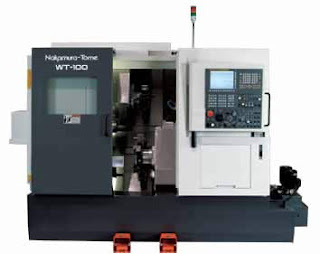 Lowell is adding to our multi-tasking machining capabilities with a second Nakamura-Tome WT-100. The two Nakamuras are relieving bottlenecks in our Swiss and Mill/Turn departments. The new “Nak”, as we call them, is configured identically to our first WT-100 we took delivery on this spring. We’ve already seen the results in more capacity and throughput from the first machine. We are looking forward to more efficiency with the second.